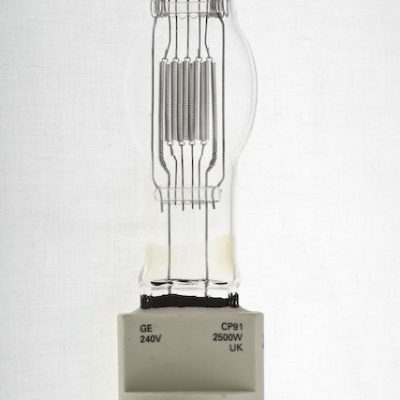 Lamp manufactured by GE Lighting. 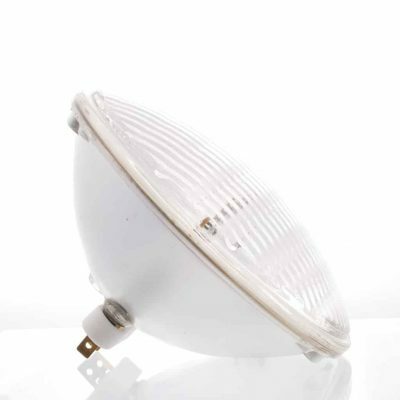 Fits in Martin MAC 500, MAC 600, MAC 600NT and RoboScan Pro 918. CSR 575/2/SE. 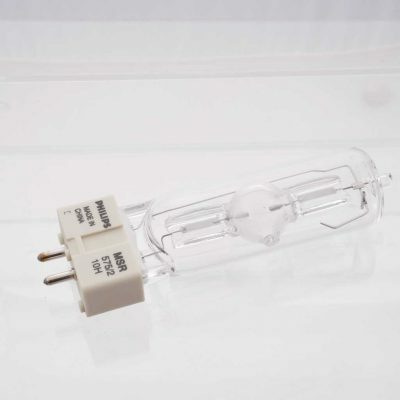 Compact, single ended metal halide cold start lamp. 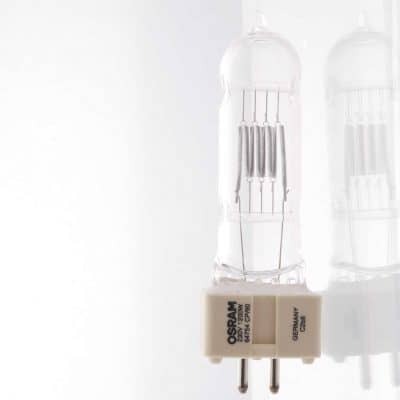 Used for a variety of applications requiring high luminance, reliability and excellent colour characteristics. 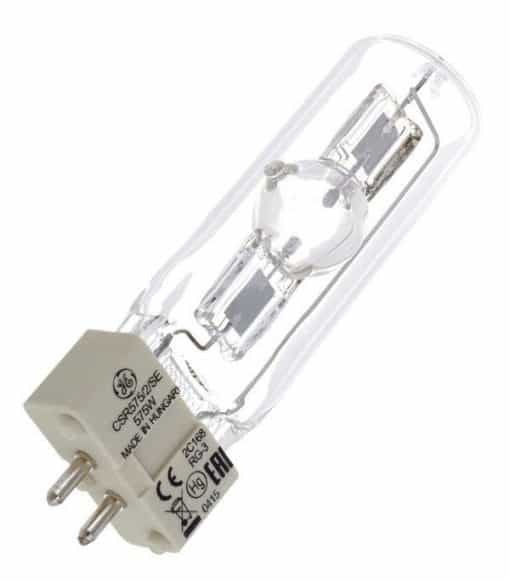 Excellent colour rendering Ra from 70 – 90+- High CCT 7200 – 9000 K with superior colour stability – Universal burn position – Dimmable with stable colour – High efficiency with excellent lumen maintenance .